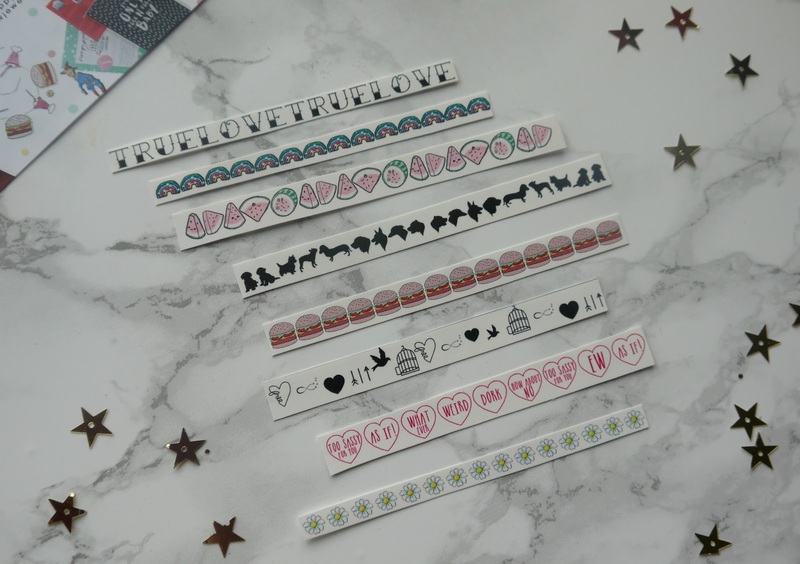 Hello lovelies today I have for you a gorgeous set of nail transfer stickers! I was kindly sent a random pack from the lovely Tess who makes individual transfers and a fellow girl gang member I was stoked when she picked me to trial some, she has all sorts of designs that she has made and put up on the 'Not on the high street' page. 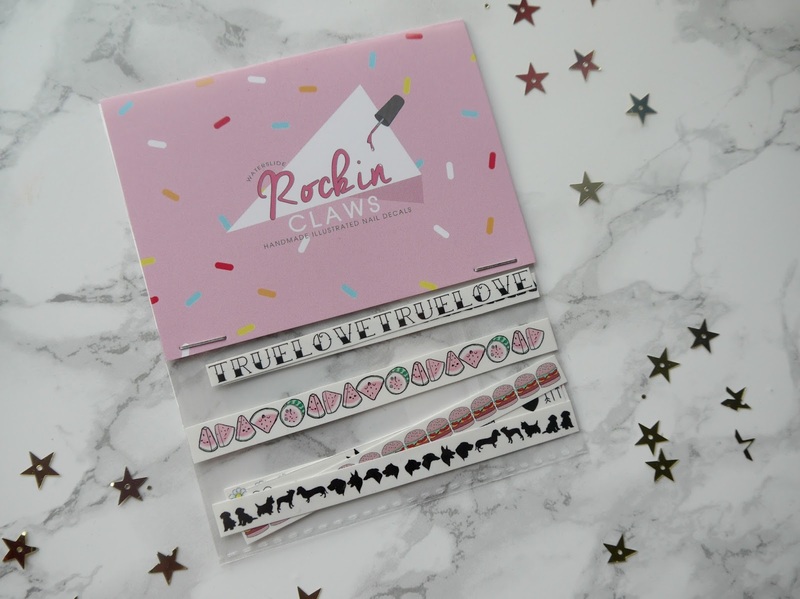 It was great to be sent a few designs to choose from but also to see which ones I like the best to get a full kit of later on, the ones that stuck out to be the best were the sassy love heart ones! 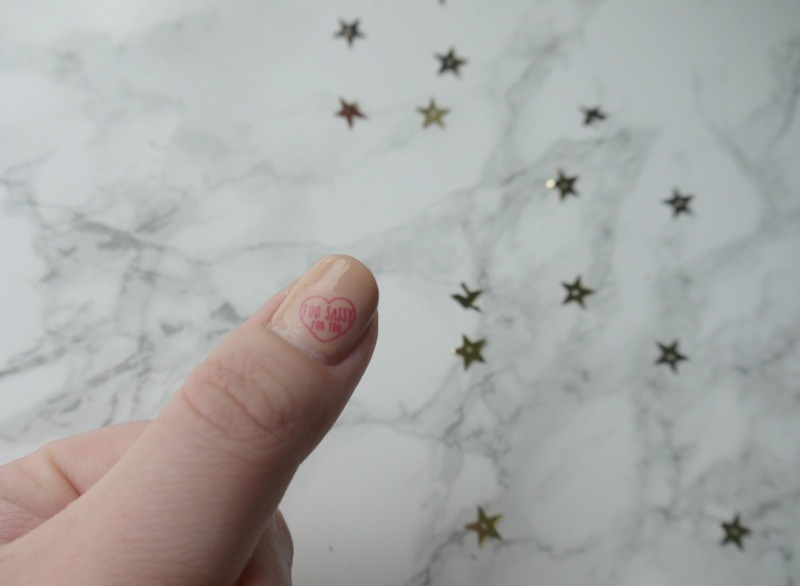 As you can see below I stuck that on my thumb straight away, these would also make your toes look super cute too! Hamburger toes anyone? Even the packaging is designed beautifully, they are really easy to use! You just stick them in luke warm water for a few seconds then apply them to your nail, cutting to size then cover it in a clear nail varnish to assure it lasts that little longer. I think I'm going to paint my nails white next time and apply the watermelon transfers, I'm addicted to anything with watermelon, flamingo and cactus printed on at the minute! Might even do my toes too, I may even treat my mums nails to the pretty flowers, she loves flowers, they are all super cute I can't wait to experiment. I also have my eye on these super cute unicorn ones! Everyone I know loves Unicorns, how can you not? 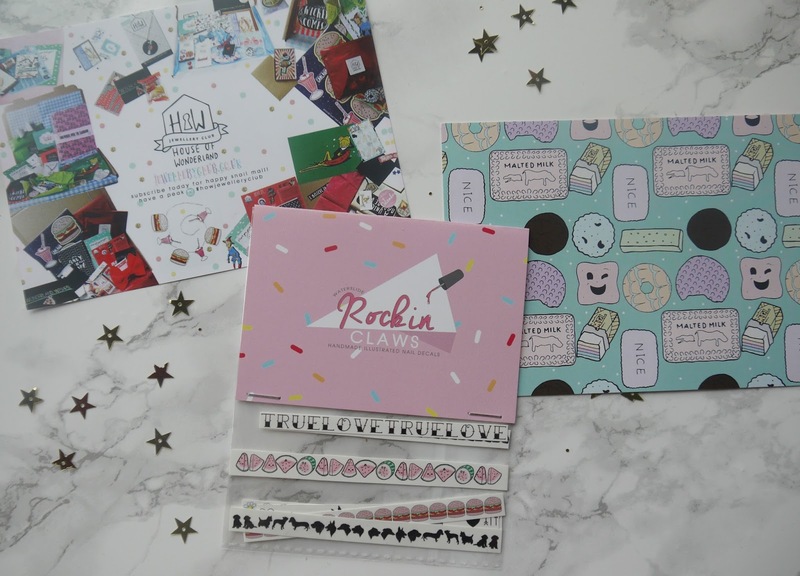 If this is up your street I think you would also LOVE there subscription box the Jewellery club. Thanks so much Tess, which designs would you choose?